*Processing times for the Tourist stream range from 48 hours to more than 20 days depending on factors such as peak processing periods in a particular location. 124 Distinguished Talent Unavailable due to low volume of applications. Unavailable due to low volume of applications. 132 Business Talent Significant Business History 15 months Unavailable due to low volume of applications. 132 Business Talent Venture Capital Entrepreneur Unavailable due to low volume of applications. Unavailable due to low volume of applications. 187 Regional Sponsored Migration Scheme Agreement Unavailable due to low volume of applications. Unavailable due to low volume of applications. 188 Business Innovation and Investment (Provisional) Significant Investor Unavailable due to low volume of applications. Unavailable due to low volume of applications. 188 Business Innovation and Investment (Provisional) Premium Investor Unavailable due to low volume of applications. Unavailable due to low volume of applications. 188 Business Innovation and Investment (Provisional) Entrepreneur Unavailable due to low volume of applications. Unavailable due to low volume of applications. 403 Temporary Work (International Relations) Domestic Worker (Diplomatic or Consular) Unavailable due to low volume of applications. Unavailable due to low volume of applications. 403 Temporary Work (International Relations) Privileges and Immunities Unavailable due to low volume of applications. Unavailable due to low volume of applications. 405 Investor Retirement Unavailable due to low volume of applications. Unavailable due to low volume of applications. 408 Temporary Activity Domestic Work for Executives Unavailable due to low volume of applications. Unavailable due to low volume of applications. 408 Temporary Activity Exchange Arrangements Unavailable due to low volume of applications. Unavailable due to low volume of applications. 489 Skilled – Regional (Provisional) State/Territory Nominated Visa Classes – GSM Unavailable due to low volume of applications. Unavailable due to low volume of applications. 858 Distinguished Talent Unavailable due to low volume of applications. Unavailable due to low volume of applications. 888 Business Innovation and Investment (Permanent) Unavailable due to low volume of applications. Unavailable due to low volume of applications. 890 Business Owner Unavailable due to low volume of applications. Unavailable due to low volume of applications. 891 Investor Unavailable due to low volume of applications. Unavailable due to low volume of applications. 893 State/Territory Sponsored Business Investor Unavailable due to low volume of applications. Unavailable due to low volume of applications. 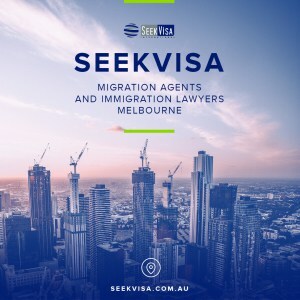 *Due to high demand for subclass 462 Work and Holiday visas in the period of July – September, global processing times during these months are expected to increase and may exceed 30 days. ^Due to the recent introduction of the New Zealand pathway stream of the subclass 189 visa global processing times are not yet available. 102 Adoption Unavailable due to low volume of applications. Unavailable due to low volume of applications. 837 Orphan Relative Unavailable due to low volume of applications. Unavailable due to low volume of applications. 864 Contributory Aged-Parent (Residence) Unavailable due to low volume of applications. Unavailable due to low volume of applications. 884 Contributory Aged-Parent (Temporary) Unavailable due to low volume of applications. Unavailable due to low volume of applications. 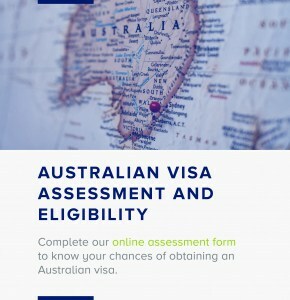 *Processing time for subclass 801 Partner (permanent) visa and 100 Partner (permanent) visa is from date of eligibility (2 years after the 820/801 or 309/100 application is lodged) to finalisation. 151 Former Resident Unavailable due to low volume of applications. Unavailable due to low volume of applications. 157 Three Month Resident Return Unavailable due to low volume of applications. Unavailable due to low volume of applications. 159 Provisional Resident Return Unavailable due to low volume of applications. Unavailable due to low volume of applications. 808 Confirmatory (Residence) Unavailable due to low volume of applications. Unavailable due to low volume of applications. **A small proportion of applicants for Australian citizenship by conferral are not required to attend a ceremony. For Descent and Evidence applications, allow an additional 10 days for printing and postage of your certificate. If you applied from outside Australia, postage will take longer.